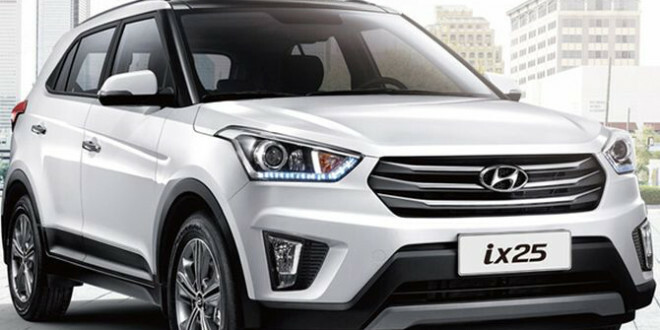 Hyundai Motor India Ltd, India’s premium car manufacturer has today announced the name of its new SUV called as Creta. Hyundai Creta would be official name of Hyundai‘s new Global SUV which was previously known as ix25. The global availability of Hyundai’s new SUV model Creta shall start in the 2nd half of 2015 in India, after its worldwide launch. It is good to see Hyundai is heading to SUV segment with all bells and whistles. Hyundai Creta would be an influential global model for the Hyundai in India, the country where the SUV segment is popular and one of fastest-growing vehicle segments in the World. The new Hyundai Creta brand shall help the company to reach out to many new consumers in developing as well as the established international car markets. 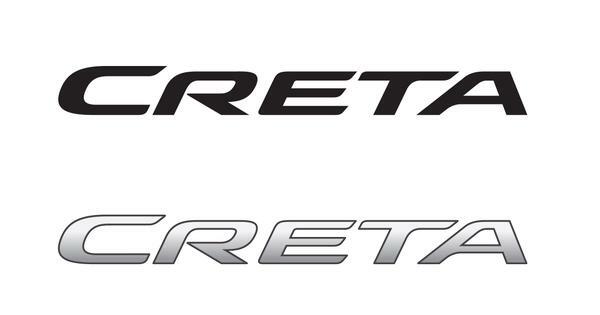 The new name plate “Creta” has been registered by Hyundai. Being consistent with its core concepts underpinning Hyundai Motor’s Modern luxury brand direction – SIMPLE, CREATIVE, CARING – the ‘Creta’ name is simple as well as easy to remember. The pronunciation of Creta welcomes the similarities with the word ‘creative’. The Creta name shall be used for all the global markets. 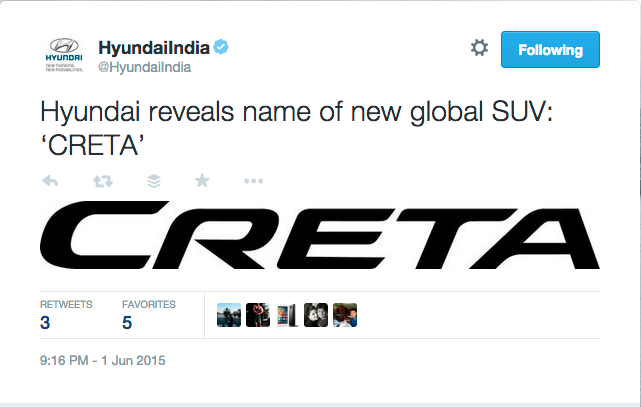 Hyundai is pretty active on Social Media, the official twitter handle of Hyundai India tweeted about the new brand name – “Creta”. It is time for Hyundai to build social media presence for Hyundai Creta across the web – We are expecting details on launch details of Hyundai Creta, the upcoming SUV by Hyundai.